You need pain relief and you need it quickly, but is your pain medication safe? If you, or a loved one, have been prescribed Subsys then it is important to know more about this potentially dangerous drug. Subsys has been approved by the Food and Drug Administration (FDA) to treat breakthrough cancer pain in adults. It is meant to provide quick relief for significant pain that occurs between doses of other opioid pain medications. Yet only 1% of Subsys prescriptions are written by oncologists. Chronic pain doctors are, overwhelmingly, the most frequent prescribers of Subsys and it is often patients who are addicted to opioids who receive the prescriptions. 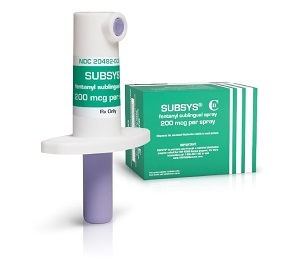 Subsys was not intended or approved for this purpose and can lead to overdose and death. 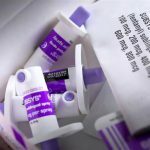 The primary ingredient in Subsys is fentanyl. It is administered as a sublingual spray—meaning that a patient sprays the medication under the tongue for quick relief. It is currently the fastest way to get pain relief without having an injection. 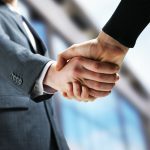 Insys sales representatives were allegedly paid higher commissions if they could convince doctors to write prescriptions for higher doses of Subsys (which are more expensive for patients and more profitable for Insys), and they were reportedly directed to market the drug to doctors who did not treat cancer patients. 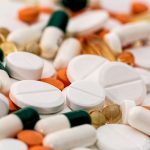 FDA regulations allow doctors to prescribe medication for off-label uses, but they specifically prohibit pharmaceutical companies from marketing their medications for any use that does not have FDA approval. Additionally, it has been reported that Insys paid doctors to write Subsys prescriptions. The top Subsys prescribers in the country were allegedly paid large speaking fees. Many of these doctors now face criminal charges or professional misconduct complaints. It is alleged that during 2013 and 2014, Insys paid approximately $10 million to about 3,000 doctors for “sham” speaking engagements. During this same time, these same doctors wrote approximately $30 million worth of Subsys Medicare prescriptions. 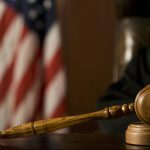 If you or a loved one have been prescribed Subsys Fentanyl Spray, contact our team of lawyers at McEldrew Young today.